The 2019 Hyundai Santa Fe arguably has the most advanced technology in a modern SUV. With most of the technology being standard, even in its entry-level model, you will get the most out of your drive. Access all the amazing 2019 Santa Fe technology with the standard 7-inch display audio system. There you will have access to all of your apps through either Apple CarPlay™ or Android Auto™. There is also an available 8-inch display with touchscreen navigation for an upgrade. With these 2 displays you’ll never have a problem finding what you’re looking for or getting to your next destination. What’s the best way to make a long trip go faster? Music. Hyundai knows this. That’s why the 2019 Hyundai Santa Fe has available Infinity® Premium Audio with 12-speakers and Quantum Logic® Surround and Clari-Fi™ Music Restoration Technology. Upgrade your system for crystal clear sound. The 2019 Santa Fe technology doesn’t stop there. Standard is Apple CarPlay and Android Auto, something that is an upgrade for most other vehicles. Another amazing standard (except the SE) feature is a 3-month trial subscription to SiriusXM® radio. Have access to over a hundred music stations, news stations and podcasts. No other SUV sounds as good as the 2019 Hyundai Santa Fe. If you want the most out of the 2019 Hyundai Santa Fe, then maybe consider the Ultimate model. The highest model for the Santa Fe includes all the features of those below it and also some that you’ll only find with it. Standard with the Ultimate is a Surround View Monitor, Heads-up Display, and Wireless Charging for your phone. The surround view monitor will showcase a bird’s eye view of your vehicle so you will be able to see everything that is around all sides. This feature will greatly decrease the stress of backing out of parking spaces in a busy lot. Also featured in the Ultimate model is the heads-up display which will show your speed and other important information right in your line of sight. The newest feature to hit modern vehicles is a spot to wirelessly charge your cell phone. In the Ultimate model, wireless charging is standard and will work with any Qi standard phone. All you have to do is simply place your phone on the charging pad and the car will do the rest. Now available in every model of the 2019 Hyundai Santa Fe, except the SE, is the Hyundai Blue Link Technology. This connected car service is complimentary for 3 years on any model equipped with it. The innovative technology connected to your favorite devices and include controls such as remote start and climate control. Now you can start your car and make it comfortable without even having to step foot into it. This can really come in handy on those cold mornings before work. Something that isn’t new to modern vehicles but sure is a convenience is the remote door lock and unlock controls included with the Blue Link Technology, but with this one, you can unlock or lock your Hyundai Santa Fe from wherever you are by just inputting a pin number. Some of the more innovative features are the on-demand diagnostics and alerts. This technology allows you to run a full diagnostic test on your Hyundai and know if there is any service needed. You can even schedule a service appointment at your preferred dealer. Another convenient feature of the Blue Link Technology is the remote car finder. If you’re within 1 mile of your new Hyundai Santa Fe, you’ll never lose it in a busy parking lot again. 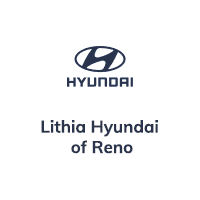 Learn more about the 2019 Santa Fe Safety Features at Lithia Hyundai of Reno.